Why not treat your guests to a keepsake of your baby's special christening day or any other similar event. All you need to do is email your photos and any other information to us - we'll do the rest! We'll email a representation to you before we go ahead with the print. What more could you ask for for just 75 pence nowadays? 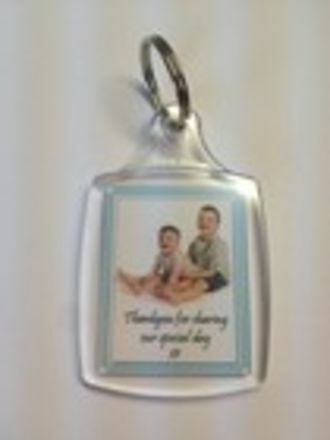 A simple, yet practicall gift of a personalised keyring.